WEST VANCOUVER – Renters could have more options in West Vancouver if Hollyburn Properties’ infill project is given the green light. 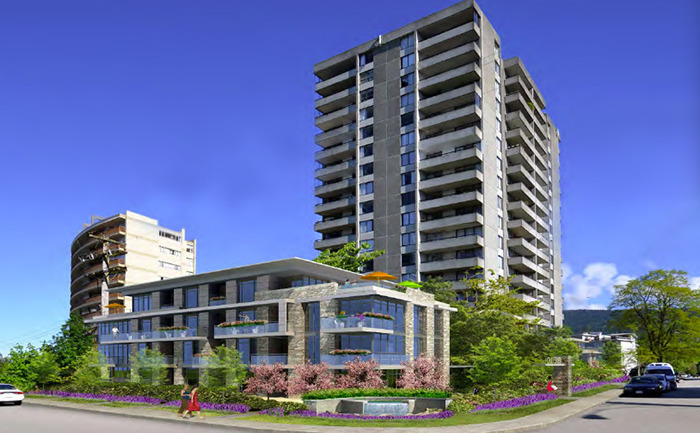 An additional 49 purpose-built rental units in two low-rise buildings would be built beside an existing highrise in Ambleside at 195 21st St, West Vancouver. Read the article by Michaela Garstin published in the North Shore News here.